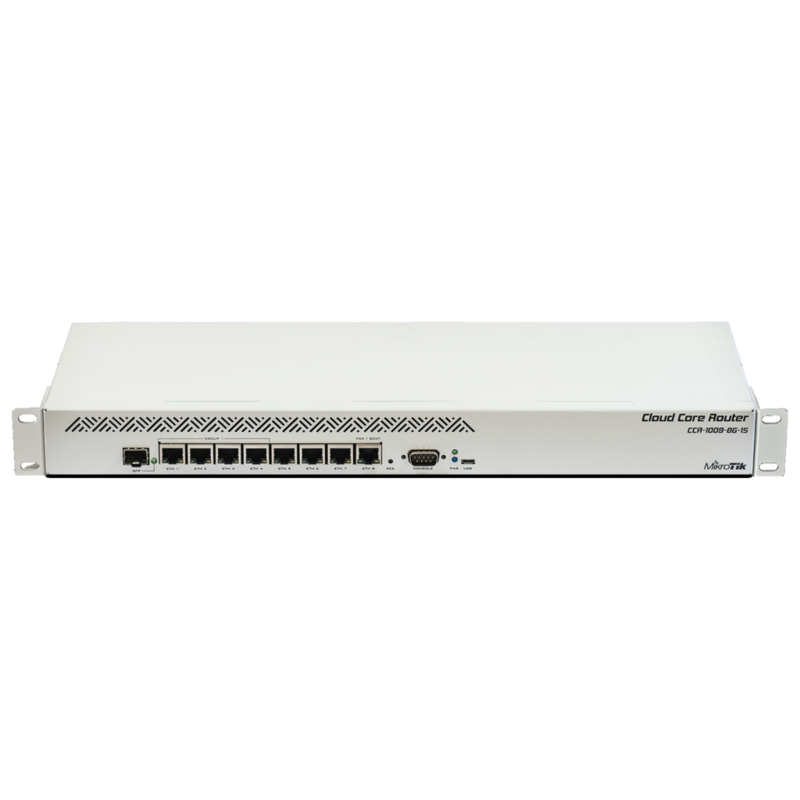 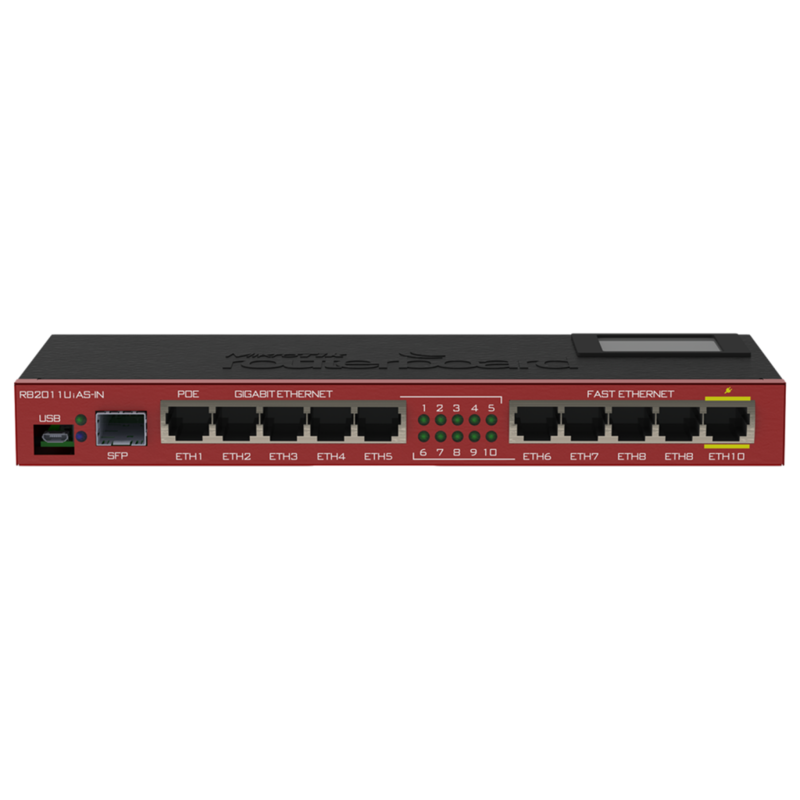 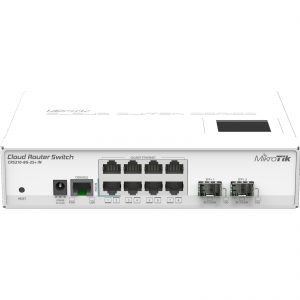 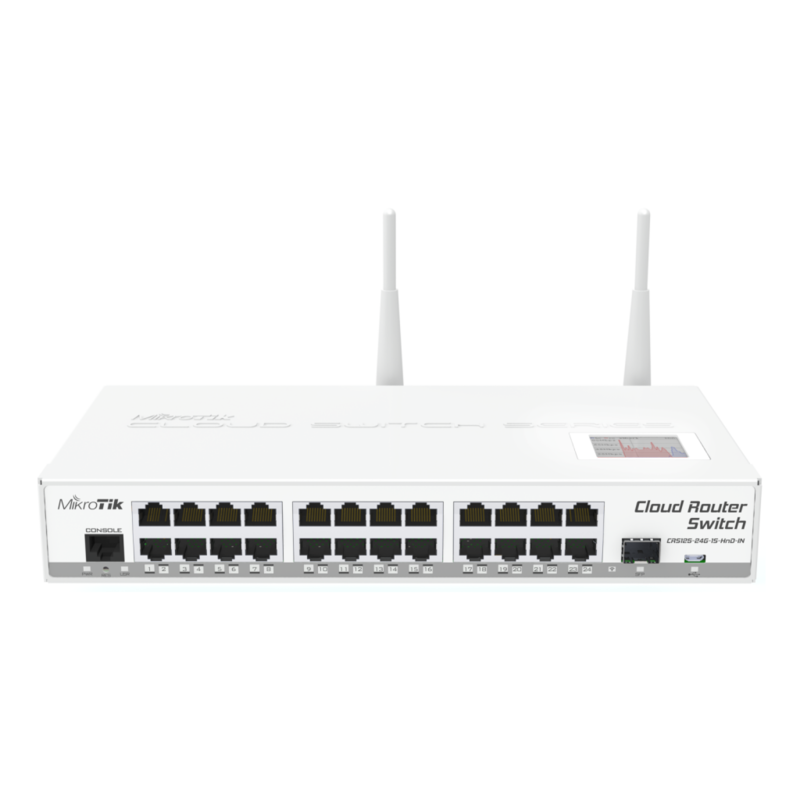 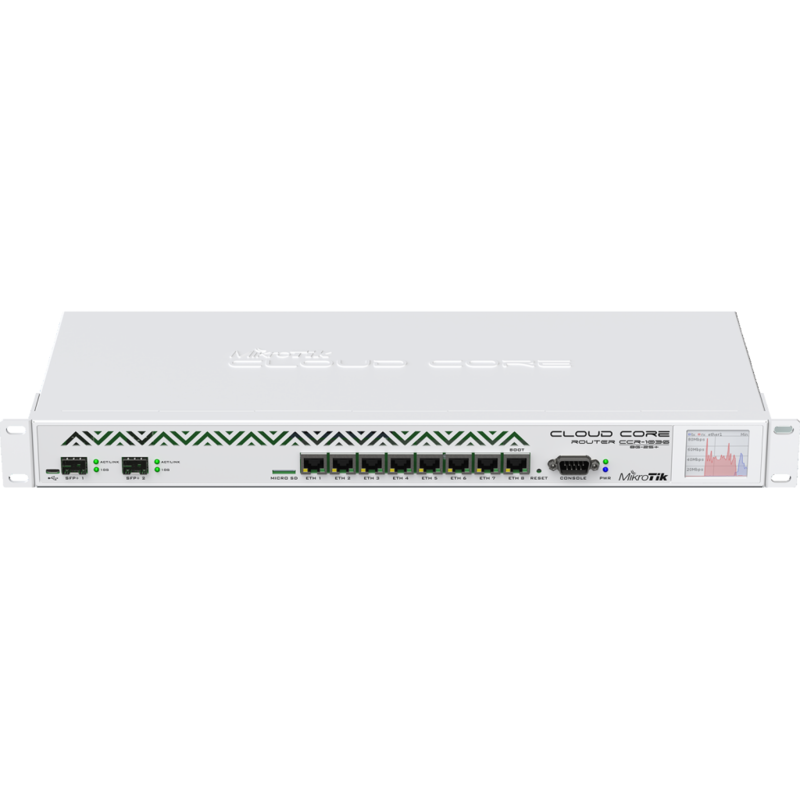 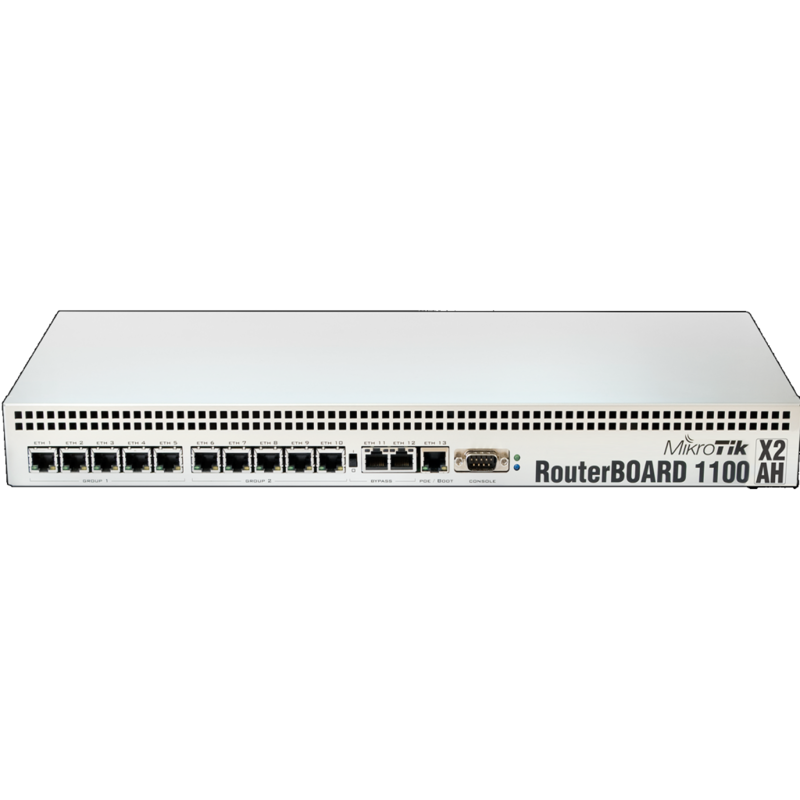 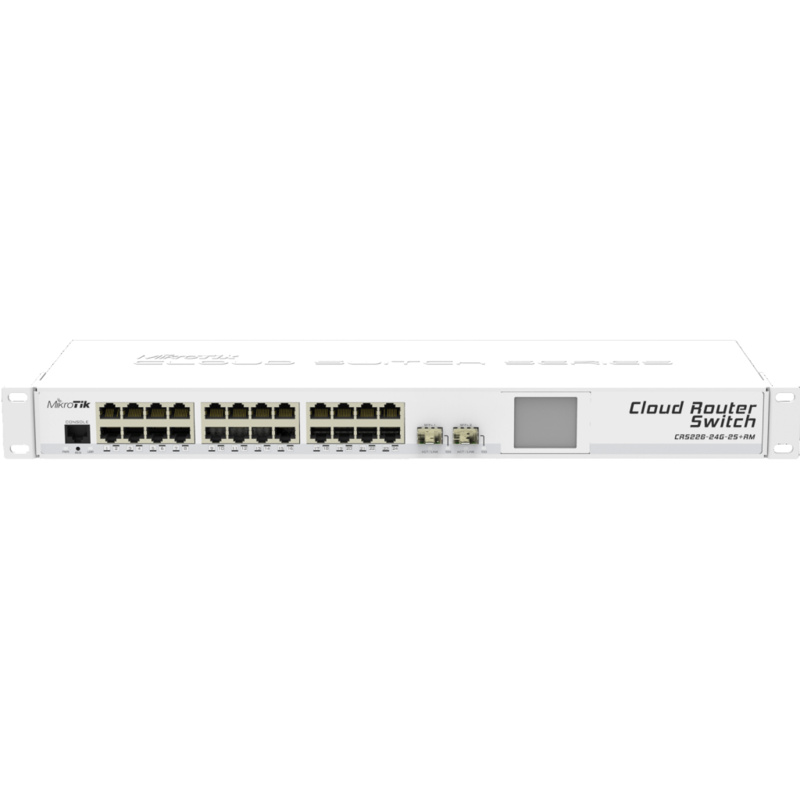 The Cloud Router Switch CRS226-24G-2S+ is now available also in a 1U rackmount case, product code CRS226-24G-2S+RM. 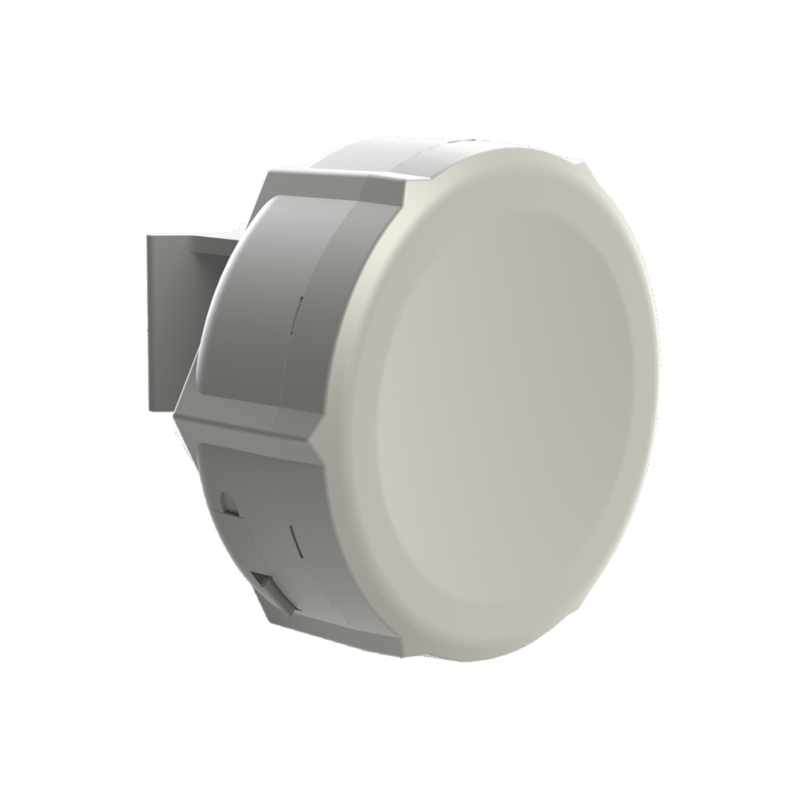 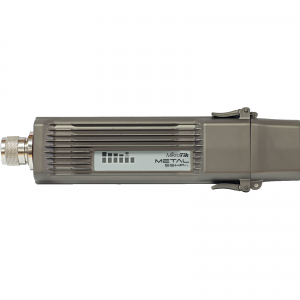 It is a fully functional Layer 3 switch powered by RouterOS. 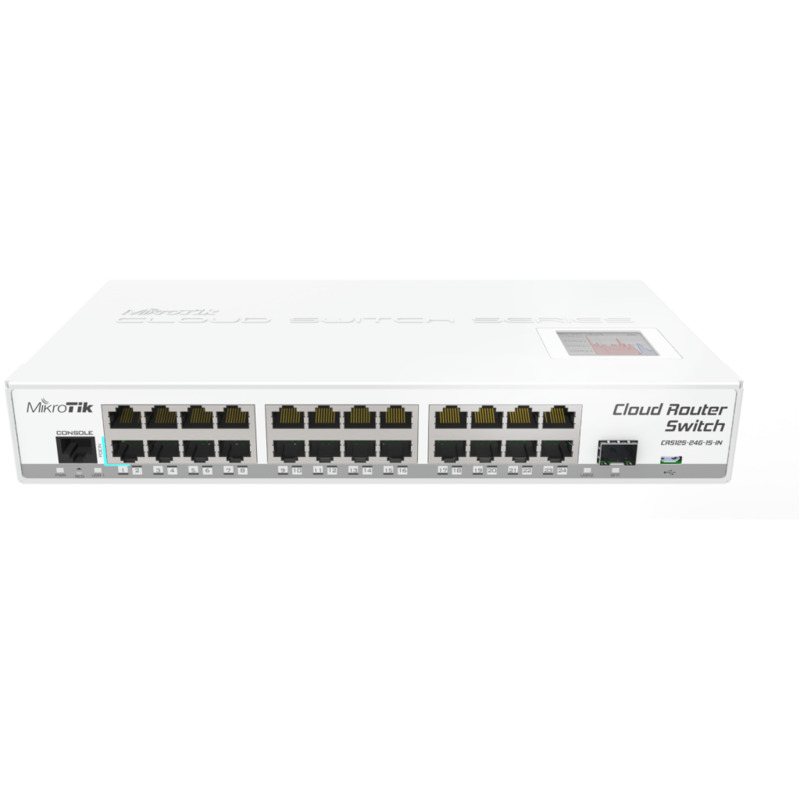 All the specific switch configuration options are available in a special switch menu.